Why is it so hard for Canadian entrepreneurs to access franchise disclosure documents in Canada? 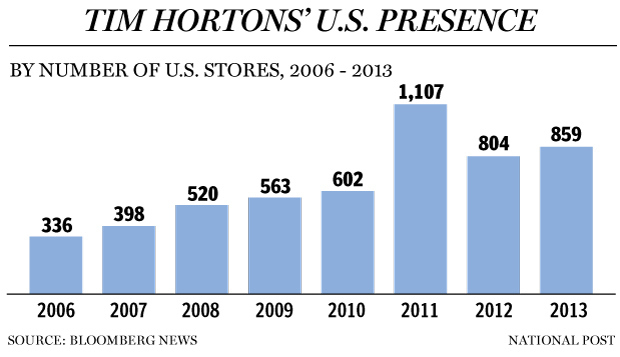 Perversely, much more information is available via U.S. internet sources for Tim Hortons franchises than can be found north of the 49th parallel by an independent researcher. Since 1979, the U.S. Federal Trade Commission has required all franchise disclosure documents to be publicly available (the Franchise Rule). 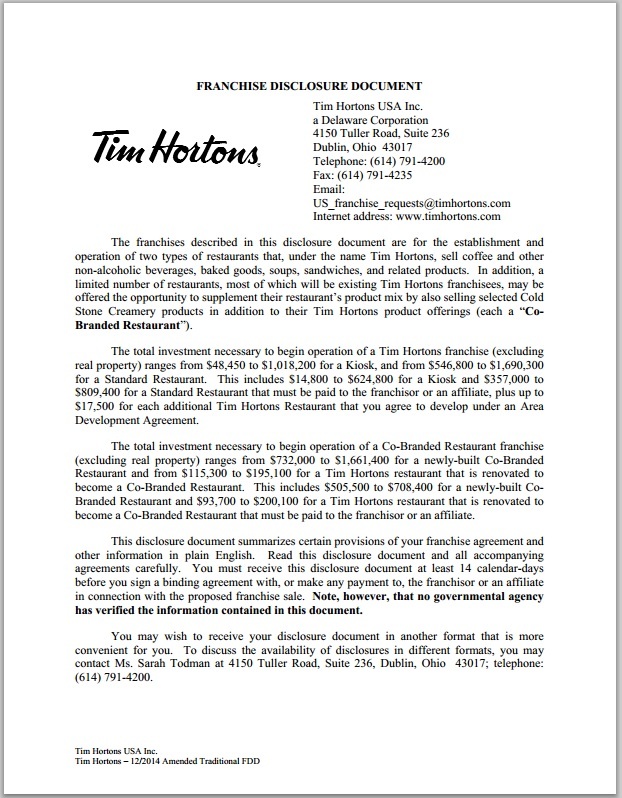 As an example, this is the first of 555 pages of the free online copy of the 2013 Tim Hortons Traditional FDD. This is critical information; similar to financial market prospectuses. It’s as easy as going to the Wisconsin site, typing in the name of the system, and more-often-than-not a free pdf shows an unbelievable amount of investment disclosure information. Thank you for your message. All of the information we are able to provide the general public is available on our website. If it is not on the website, we regret to inform you it is proprietary in nature and we are unable to fulfill your request. The Ontario law is called the Arthur Wishart Act (Franchise Disclosure), 2000. It’s disclosure requirements were modeled on the U.S. model. The Ontario government/Wishart currently does not require either (1) public filing or (2) an online repository of documents. I believe Canadian small business investors deserve as much access to this financial information than do our United States neighbours. How can we have informed public policy without publicly-available, agreed-to data? This entry was posted on Tuesday, February 24th, 2015 at 12:06 pm and is filed under Information sharing. You can follow any responses to this entry through the RSS 2.0 feed. You can leave a response, or trackback from your own site.